Join Summer Breeze Outdoor on Friday, June 8 from 3 pm-6 pm for the Grand Opening of their new showroom on Hilton Head Island. Explore their line of Bull outdoor grills, fire pits, pizza ovens and more! The team at SBO will present their brand new showroom including live demonstrations on their impressive line of Bull Grills. 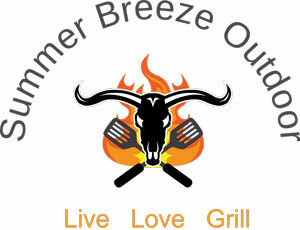 Enjoy food cooked on Summer Breeze Outdoor products and cold beverages! Attendees who register in advance will be automatically entered to win $500 towards a brand new Bull grill or pizza oven! This event is complimentary and open to anyone looking to learn more about Summer Breeze Outdoor or the HBA. Advanced reservations are requested due to catering needs. RSVP here, via info@hhahba.com or by calling 843-681-9240. Summer Breeze Outdoor offers customers a way to enhance the Lowcountry life style, giving everyone the opportunity to expand their outdoor experience. Working with their clients existing decks and patio’s or creating new outdoor environments to complete their vision, with quality and craftsmanship to last a lifetime.